With much talk surrounding the recent The Manhattan Declaration Of Christian Conscience, and whether or not evangelicals should align themselves with Roman Catholic and Eastern Orthodox “Christians,” it seems good to bring a bit of perspective concerning Eastern Orthodoxy. 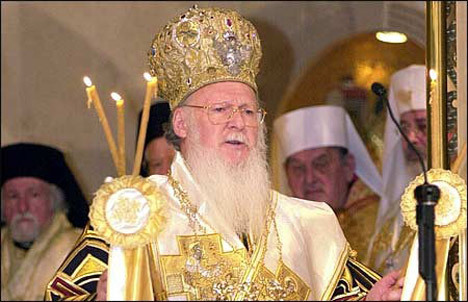 And among the false teachings that Emergence Christianity ala Brian McLaren and Rob Bell is trying to drag back into the visible Christian church are many originating the Eastern Orthodox Church. So for the interested reader CRN provides this link to more information on Eastern Orthodoxy. There you will find the answers to some basic questions regarding the theology of the Eastern Orthodox Church as well as many articles for further study. needs to be addressed on the media. This is clearly done in this program as Richard Bennett interviews Stuart Quint. Photos and graphics of Orthodox churches and personages are inserted.